CALLING ALL BAKERS: Support the Craft Faire by donating your favorite baked goodie to the Fairfax Craft Faire Bake Sale, and receive free raffle tickets for our Craft Faire Raffle. Just submit this form, and bring your item between 9:30-10:30am to the Fairfax Pavilion kitchen on Saturday morning. Thank you! Special thanks to Good Earth Natural Foods for providing the food for the Zero Waste Cafe at the Faire. Proceeds from this event benefit Sustainable Fairfax and Fairfax Recreation. Enter your favorite baked goodie into the Fairfax Craft Faire Baking Contest! Enter your favorite baked goodie into the Fourth Annual Fairfax Craft Faire Baking Contest! Your contest entry will be included in the bake sale at the Craft Faire Café. The funds from the bake sale will support the Fairfax Craft Faire organizers: Sustainable Fairfax and Fairfax Recreation. 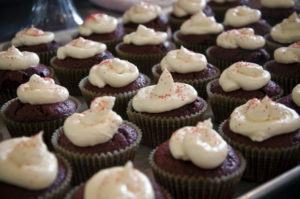 For cookies, brownies and/or cupcakes, please donate at least one dozen. For cakes, bring one or more. 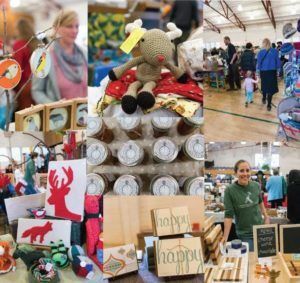 Bring your entries to the kitchen in the Fairfax Pavilion (the red barn on top of the hill at 142 Bolinas Road, Fairfax) between 9:30am-11:00am on Saturday, December 9th. We will have a team of local judges evaluate the entries. Judging will begin at Noon. Prizes will be awarded to winners in both categories. Please email SustainFX@gmail.com with any questions. Good Luck! Enter the Baking Contest here! CRAFT FAIRE RAFFLE: We are having a raffle for items donated by Craft Faire vendors! $2 per ticket or $5 for 3. Visit the Sustainable Fairfax or Fairfax Recreation tables for tickets. Support Local Artists & Crafts People!